Home Tags Posts tagged with "food book"
Joan Rivers wrote the intro for a new book about Jewish food just few months before she died. She began with some old family stories and some old Jewish jokes. 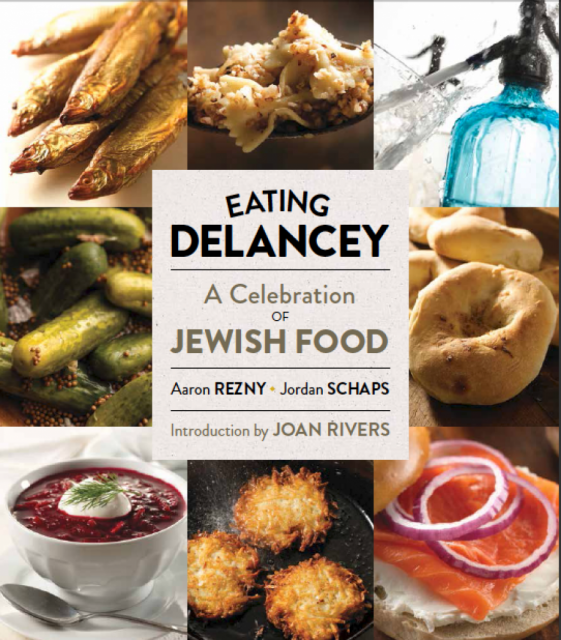 Joan Rivers, who died on September 4 at age 81, is the opening act for Eating Delancey: A Celebration of Jewish Food. The book, set to be published in December by powerHouse Books, is a tribute to knishes, bagels, pickles and other staples of the Jewish immigrant community of Manhattan’s Lower East Side.It features memories from Don Rickles, Isaac Mizrahi and Itzhak Perlman, among others. When the publishers were putting together a wish list for the book, they quickly thought of Joan Rivers, a legend among friends and family for her savory, sardonic Passover gatherings. powerHouse press liaison Abbe Aronson, also a contributor to the book, says she spoke to Joan Rivers in April. The conversation was supposed to last just a few minutes, but ran for nearly an hour. They ended up with so much material that powerHouse decided to use it for the introduction. Joan Rivers dropped all the right names: kasha varnishkes, eggele (or eyerlekh, which is Yiddish for “little eggs,” she noted) and gribenes. She worried that her grandson, Cooper, “looks at Jewish food and doesn’t really get it”. “I’m not happy at a Chinese restaurant. I want kreplach! Jewish food makes Italian food seem like Lean Cuisine,” Joan Rivers said.